Quang Ong likes to understand how tiny variables can be the key to understanding a bigger picture, like how a single apple is said to have once led to the discovery of gravity. It’s this passion for solving complex puzzles that led Quang to apply to a Mitacs Globalink research internship this summer to work with Professor Sean Myles at Dalhousie University’s Department of Plant and Animal Sciences. 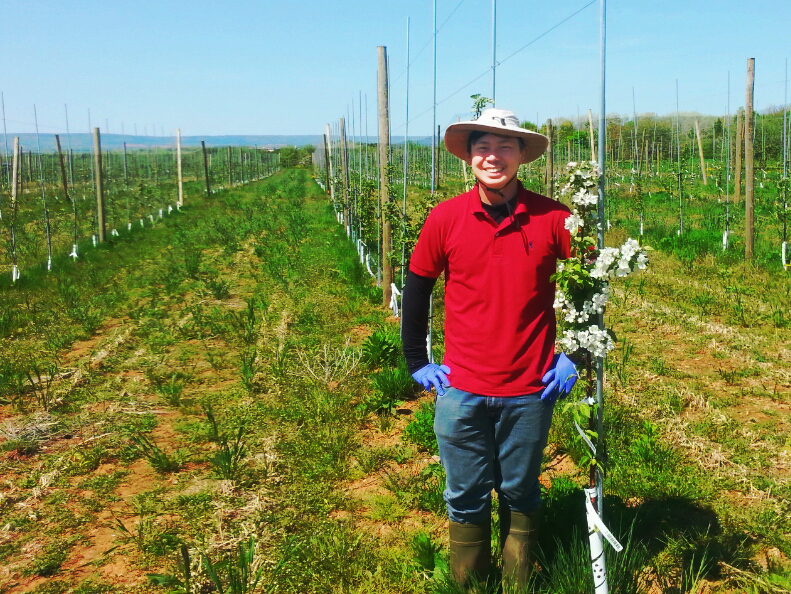 As a bioinformatics student from National University of Vietnam—Ho Chi Minh City, Quang spent his summer researching the unique genes and traits of a handful of varieties of apples and grapes at Canada’s largest research orchard, the Apple Biodiversity Collection, in Kentville, Nova Scotia. Researchers at the orchard are learning how tiny modifications to a gene can affect the traits of the fruit- things like texture, flavour, and hardiness to weather conditions. This information can help Canadian fruit growers to cultivate and sell more successful crop yields despite Nova Scotia’s unique climate and soil conditions. Quang saw the experience as a chance to diversify his understanding of genetics in the hope that he may one day conduct research into the causes and factors that lead to cancer among humans.